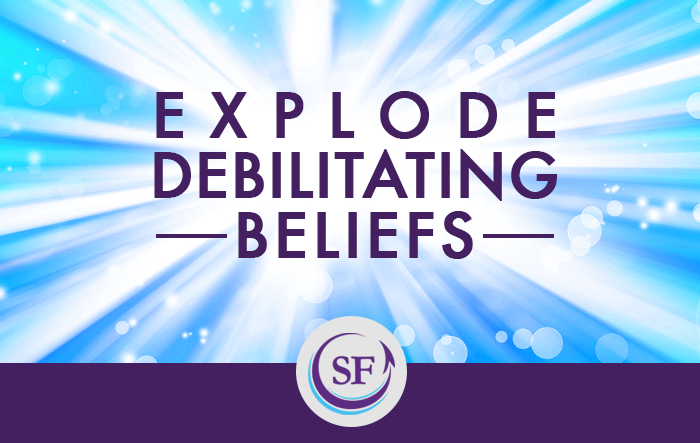 Susan Fowler | How Can You Explode Debilitating Beliefs That Create a False and Undesirable Workplace Reality? A. It’s not personal, it’s just ________. B. The purpose of business is to _____ _______. C. Leaders are in a position of __________. I’m betting you were successful. These sentences are beliefs—beliefs so embedded in our collective psyche that everyone can fill in the blanks. Here’s the kicker: these beliefs are not even true. The science of motivation provides evidence that these beliefs are false, erroneous, unwise, and debilitating. These are not people-centered beliefs but debilitating beliefs that distort what’s real, natural, and good. Without our awareness, these debilitating beliefs have become our reality—a false reality that makes it almost impossible for people to thrive at work. One of the great breakthroughs in motivation science is the discovery that our basic human nature is to thrive. Nobody wants to be bored or disengaged. All of us desire meaningful challenges. We want to contribute, feel fulfilled, and grow and learn every day. No matter what our age or situation, we want to thrive. In the most groundbreaking research in the history of motivation, we now understand how to promote thriving through three psychological needs: Autonomy, Relatedness, and Competence—or what we refer to as ARC. The first psychological need is Autonomy. Autonomy is people’s need to perceive they have choices. People at work need to feel that they have choices; that they are the source of their actions. The opposite of autonomy at work? Pressure. The second psychological need is Relatedness. Relatedness is people’s need to care about and be cared about by others without ulterior motives. Relatedness also plays out when people feel they are contributing to a greater good, or that the company cares about them by being just and fair. The opposite of relatedness at work? Goals driven by metrics without meaning. The third psychological need is Competence. Competence is people’s need to grow, learn, and become more effective at meeting everyday challenges and opportunities. The opposite of competence at work? A day without growing and learning. When people’s needs for Autonomy, Relatedness, and Competence are satisfied, the result is high-quality motivation—or optimal motivation. When ARC is undermined, people experience low-quality motivation—or suboptimal motivation. To start exploding debilitating beliefs, stop asking if people are motivated and start asking why people are motivated. People are always motivated. What matters most to the quality of their experience is the quality of their motivation—the reason they are motivated. Do power and status motivate? Yes and yes. But these reasons for motivation undermine people’s experience of their basic psychological needs. When people are motivated by money, pressure, power, or status, they are not satisfying their needs for Autonomy, Relatedness, or Competence. These reasons for motivation reflect low-quality, suboptimal motivation. High-quality motivation is based on values, purpose, and joy. When people are motivated for higher-level reasons they not only experience Autonomy, Relatedness, and Competence, but are able to sustain that positive energy over time. People thrive through high-quality optimal motivation. When people thrive, they are more productive, creative, innovative, mentally and physically healthy, and have a greater sense of well-being. Optimal motivation leads to the positive intentions and behavior that fuel employee engagement and employee work passion. Optimal Motivation holds the key for exploding debilitating beliefs and replacing them with people-centered beliefs that get real and sustainable results. Explode the debilitating belief: It’s not personal, it’s just business and replace it with the people-centered belief: If it’s business, it’s personal. Here’s the truth: What leaders say and do feels personal to the people they lead. Explode the debilitating belief: The purpose of business is to make money (a profit) and replace it with the people-centered belief: The purpose of business is to serve. Here’s the truth: An organization’s higher purpose is to serve its community, its customers, and its employees. Profit is a by-product of doing these well. Explode the debilitating belief: Leaders are in a position of power and replace it with the people-centered belief: Leaders are in a position of empowering others. Here’s the truth: Despite all their power, leaders cannot motivate anyone. What they can do is learn how to activate people’s optimal motivation and then teach individuals the skill of motivation so they can experience high-quality motivation anytime and anywhere they choose. If we explode debilitating beliefs and replace them with people-centered beliefs grounded in optimal motivation, we will create a different workplace reality—a reality where we nurture people’s natural desire to be productive and thrive. People are moved either by incentives or ideology. What’s the difference between a mercenary & a missionary. Incentive-driven people can hardly thrive and persevere through thick and thin.